The difference between someone that thinks they are a business owner and someone that thinks they are an entrepreneur is one of mindset mostly. A business owner looks at the work to be done and asks – how can I get all of this done? An entrepreneur looks at the same work and ponders – how can I get someone else to do all of this? I know that may seem simplistic, and it certainly is, but if you create a business, and you do all of the work – especially if you do all the work because you currently have the time – you are bound to fall into the trap of business. And that’s a trap that some find impossible to escape. From the very beginning, you must understand that there are very few things in your business that it makes sense for you actually to do. Of course, that can be very hard to wrap your head around when you’re still trying to gain enough traction to call what you do a business, but it’s crucial. In my experience people who start businesses that do something they don’t know how to get this the most because they must. Think about it. Let’s say you are a consultant, and you see a huge opportunity to help people do something like tax planning, but you know nothing about accounting or the tax code. You would be forced to go out and find people who could do the work, right? Now let’s say you are a marketing consultant, and you start a marketing consulting practice. Well, by gosh you know how to write a good ad and you know just enough about SEO to have an impact and after watching a few videos you can customize a WordPress theme and guess what – you’ve created a job! Jobs are very hard to scale and even harder to sell. If this idea has you intrigued, let’s take a look at how you get started. The first thing you must do is take a look at all of the tasks you currently do in your business. If you’re a solopreneur, there’s a good chance this is a very long list. The point of this exercise is to start understanding what you can and should delegate. Take a look at this list and start categorizing the work by importance. 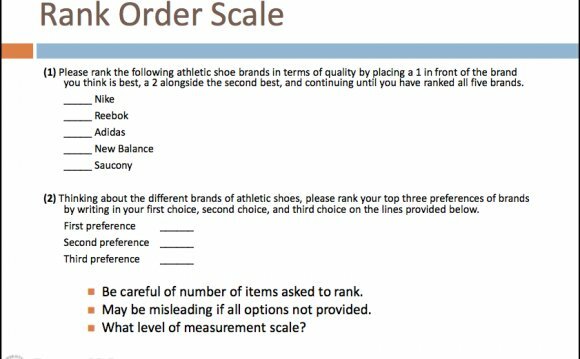 Mandi Ellefson has a handy little Scalable Toolkit that offer some forms you can use for this exercise. She emphasizes thinking about work in the context of things like work you hate, you must do, and you can’t do. From this list start assigning value. There’s value to the business and cost to have someone else do it. Don’t underestimate the output of someone far better at something than you either. I have a bookkeeping VA that charges $65/hr. That may seem high to some, but I hate this kind of work so much that it takes me far longer to do it than someone who strangely love this work. The output vs. cost is significant. Now that you’ve made your list and hopefully a commitment to outsource and delegate it’s time to figure what you can’t delegate. Vision – you must have an idea of where you are going and why you are going there and what difference you going there is going to make in the lives of your customers, staff, and community. You can’t ever delegate this, but many never go here in the first place. Culture – the core beliefs, operating standards, and core story are something you have to continue to nurture, uphold and teach no matter how large your staff grows. Eventually, this is lead by example, but it must be intentional. Client Relationships – You may have project managers (I hope you do), but how your clients feel about your business, understand the results they gain by working with you and grow to appreciate what your business means in their life is something of great value to your business and must be guarded and practiced. Rainmaking – So this one is a little tricky. At first you will be the rainmaker, the person who brings in the big contracts, constructs the sales playbook and monitors feedback throughout the sales process. But, at some point, if your business depends on you for this, you’re stuck – you have to build a sales system that others can easily operate before you can become totally free. Money Management – I already mentioned that I don’t like bookkeeping, so I delegate every element of it. I have an accountant for tax preparation as well. I even work with a coach who is focused on the growth metrics inside my business, but I insist on staying on top of key performance indicators and managing the money inside the business. Once you understand the things you must own, it’s time to start creating priorities and managing your days, weeks, months and quarters based on doing more of these high payoff activities. At first this may well include spending a great deal of time documenting how the work is done and recruiting, hiring and training internal and external team members to take over more and more of the work. Perhaps then you can free up more time to go sell more work and start to create processes that allow you to train others to sell more work. Then, maybe, just maybe you’ll find a day or two here and there where you can lock yourself away and come up with a new product or service innovation that allows you to step into and conquer an entirely new market.